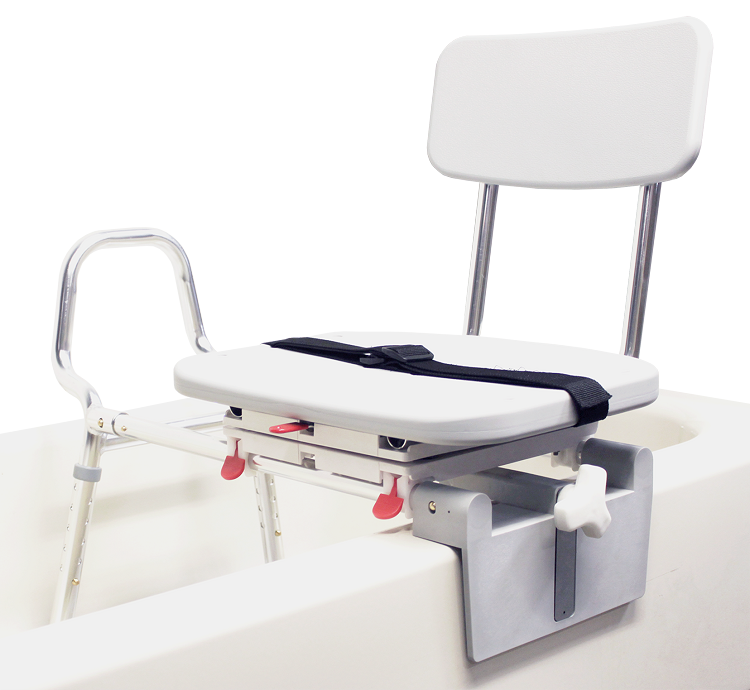 Tub Wall Height (inside): 13" - 17.5"
Q: Does the chair go completely around so it can face either direction? 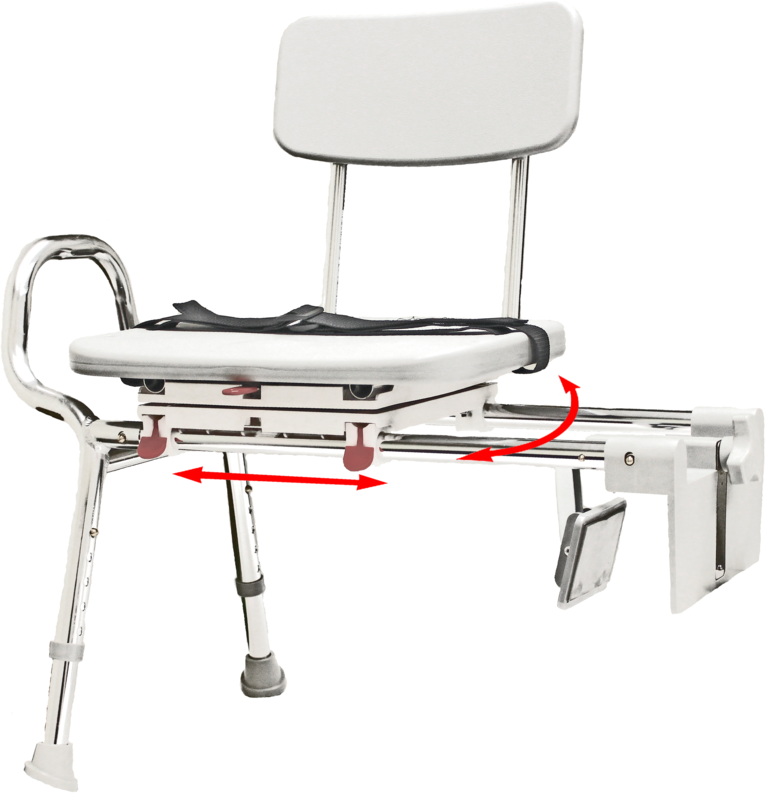 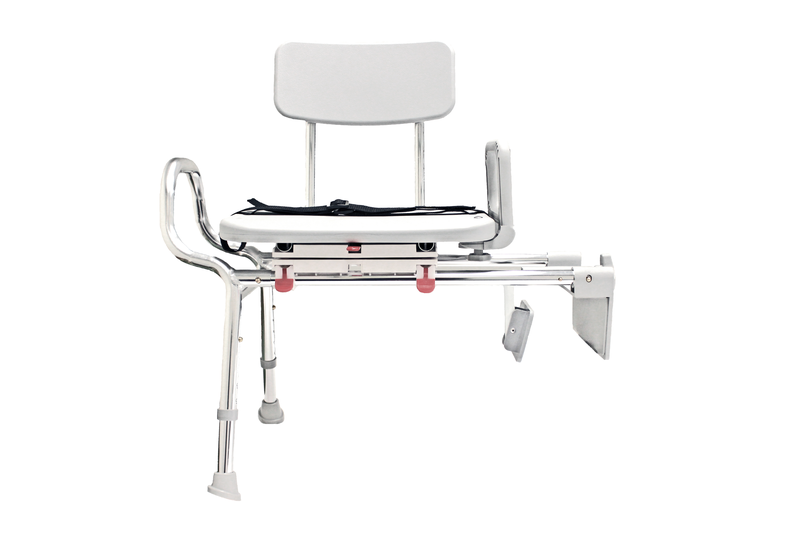 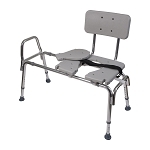 The Snap-N-Save Sliding Tub-Mount Transfer Bench w/ Swivel Seat turns 360° and locks every 90° allowing easier entry to and exit from the bench. 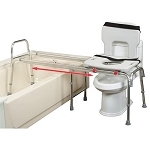 You can order online 24/7 or call us at 480-704-3807.